Well this year is going so fast, can’t believe the summer over and we are now planning for christmas. We would like to take this opportunity to thank all our clients for such a busy and hectic summer, we have loved every minute off it. Please keep checking our social sites and our website for future offers and promotions. Well 2017 has also been an exceptional busy year with our brides and there wedding party, We have loved being part off their special day, and are truly grateful , we have loved meeting new people and hope they enjoyed there experience and wedding morning at Jades as we have . 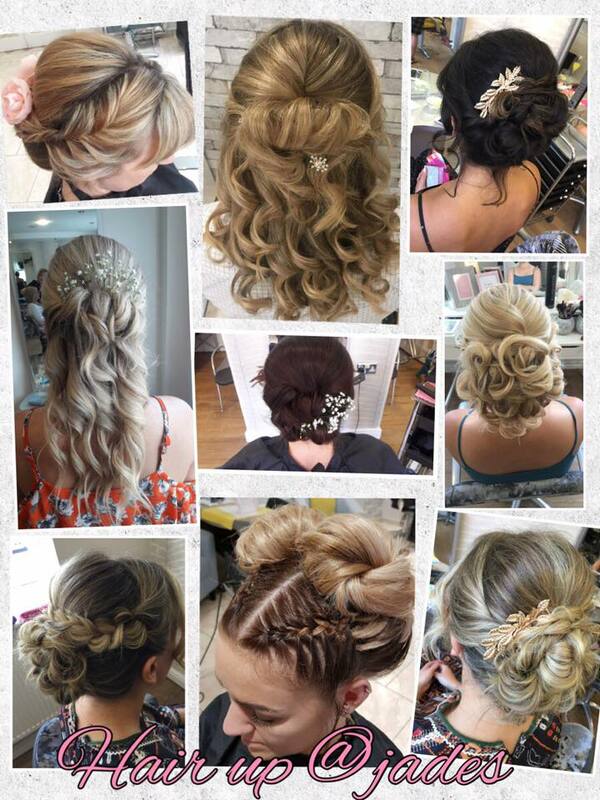 Below are a few looks of some of our work created by our team, a variety of casual hair up and some bridal, or special occassions , all look amazing. This entry was posted on Tuesday, September 26th, 2017 at 8:02 pm and is filed under Uncategorized. You can follow any responses to this entry through the RSS 2.0 feed. You can leave a response, or trackback from your own site.